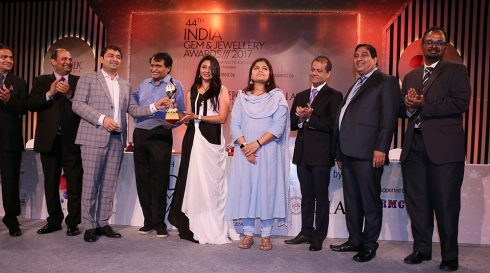 Kiran Gems Wins Esteemed IGJ Awards for 10 Consecutive Years. 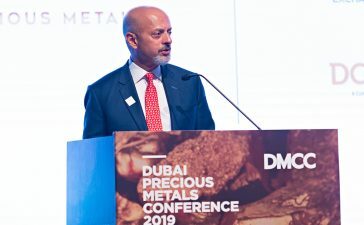 Kiran Gems, the World’s Largest Manufacturer of diamonds, has been recognized for its outstanding performance in 4 coveted categories of IGJ Awards. The year 2018 marked Kiran Gems’ tenth consecutive win for ranking FIRST in the category of Cut & Polished Diamonds – HIGHEST TURNOVER at this prestigious event. 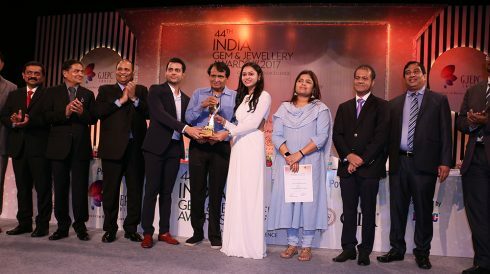 44th Edition of India Gem & Jewellery Awards///2017 was held on July 28, 2018, in Mumbai. Organized by the Gem & Jewellery Export Promotion Council (GJEPC), the Awards aim to recognize and felicitate the excellent, outstanding performances of India’s gemstone and jewellery exporters. Shri Suresh Prabhu – Hon’ble Minister of Commerce and Industry & Civil Aviation and Ms. Poonam Mahajan – Member of Parliament attended the ceremony as chief guest. 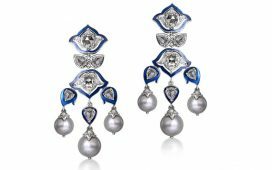 Kiran Gems is India’s Premier Diamantaire with international reach and reputation. The company has been supplying Natural Polished diamonds to the world’s best and most revered jewellery and watch manufacturers, retailers, and brands. Kiran Gems is a benchmark in terms of ethical manufacturing, quality of diamonds, precision, diamond variety, and quantity.